Looking at the name of the recipe, you might be skeptical about the taste of the mousse, but it will not be very off. When avocado is combined with the ingredients like almond milk, chia powder, agave nectar and cocoa powder, it will taste very similar to original mousse. The best part about this recipe is that it is healthy: it is gluten-free, dairy-free, and egg-free! It is a vegan chocolate mousse that is dense, rich, healthy and delicious. 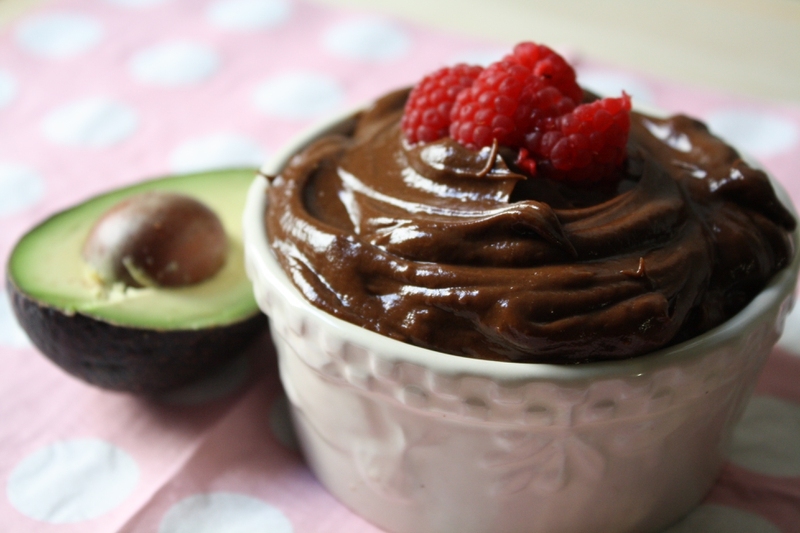 Just follow our recipe for Avocado chocolate mousse here. Scoop out the flesh from avocado halves and transfer in food processor. Add the remaining ingredients and mix till smooth. Add agave nectar to make it sweet. Using a piping bag, pipe the mixture in glasses or ramekins. Put it in refrigerator for 30 minutes before serving. Like the avocado chocolate mousse, there are other recipes for mousse which are healthy and vegan as well. In this section, we will look at some more healthy mousse recipes. This recipe uses coconut milk as the base for the mousse which gives it a fluffy and light texture. The coconut milk should be chilled overnight so that the cream solidifies. Remove the cream gently from the top of the can and transfer it to a chilled bowl. Beat the cream till it becomes light and fluffy. Add the peanut butter in small quantities till the desired taste is achieved. Add the agave nectar till desired sweetness. It is important to remember that more the sweetener, the less firm the mousse will be. Chill till it sets and firms up as a mousse. It may take several hours.  This recipe makes use of tofu as the base along with pumpkin as the flavoring. The tofu should be blended by a food processor till it is smooth. Add the remaining ingredients to the tofu and mix well for a minute. Divide the mixture to dessert bowls and chill for 4 hours at least before serving. Server responsed at: 04/22/2019 4:42 a.m.